At the moment, the plugin provides three ways to collect email users. The first method of collecting – during uploading. When a user uploads a photo to a contest, he must specify the name of the photo and other parameters, including his email, which can be seen in the admin panel (only if the email field is in the form). If necessary, you can export the contestant’s data. 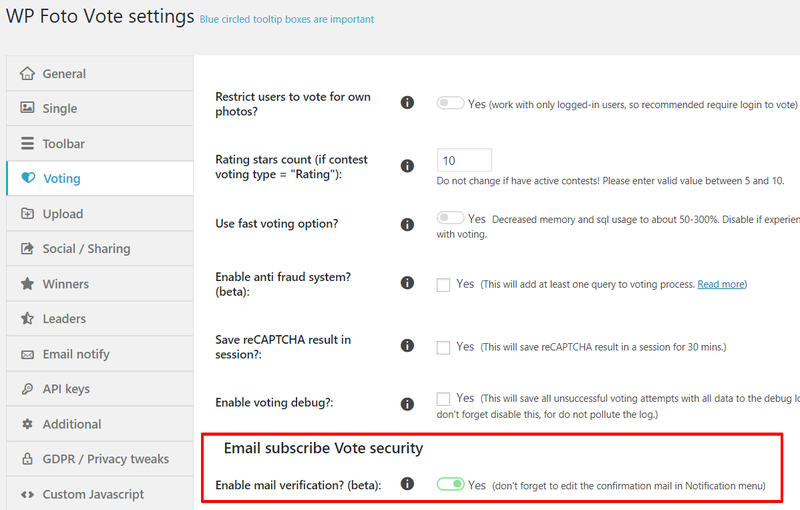 The second and third methods are collecting users email during voting. When the user clicks “Vote”, a modal window appears. There he should enter his name and email in order to vote. More details can be found here >>. This window appears to the user only once in the entire time of the contest (until he changes a browser). Optionally you could enable email verification – then verification code will be sent to the user email. The use of a social login, for example, Facebook or Google, returns us the user’s email, if during authorization he did not prohibit it. Also, it is necessary to know that such mail is not always correct. Sometimes they look like name@facebook.com. 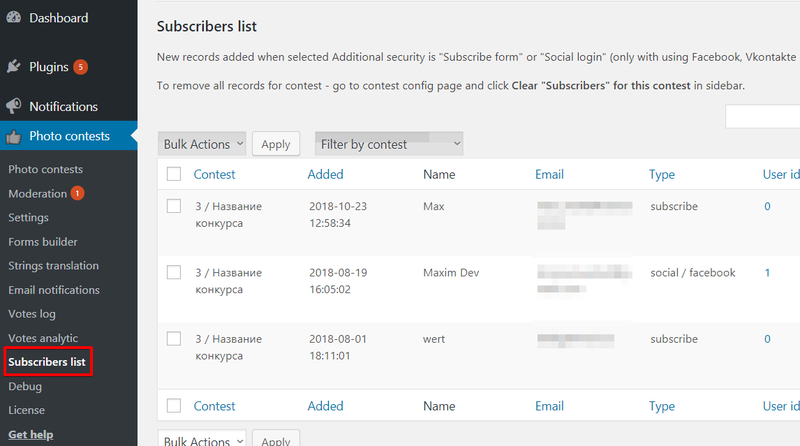 You can find all collected emails during voting in the “Subscribers” menu, where you can see the name, email and a channel (subscribe, social) and other data. You can also export data to a CSV for processing or import to other services.